Spring is in the air and the Easter season is upon us. Mother’s Day is right around the corner too. As you plan your gifting and gathering, there are a few things to know to help keep cats safe while you celebrate. All true lilies are toxic and poisonous to cats. Ingestion of even a small amount, be it a nibble on a leaf or grooming pollen from a paw, can lead to acute kidney failure. 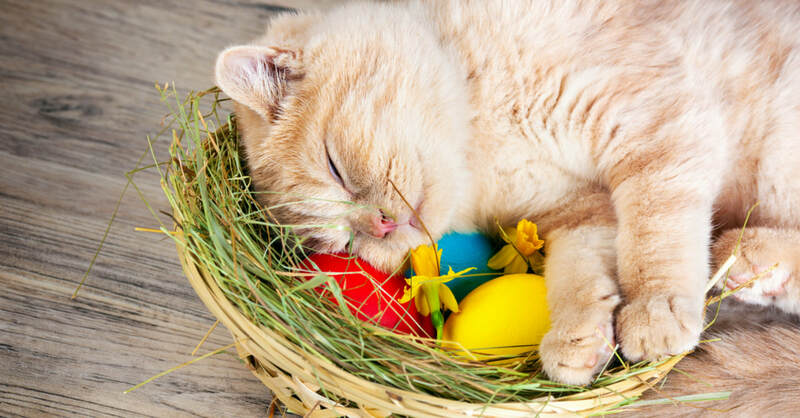 Despite their prevalence in homes and bouquets this time of year, Easter and all other lilies should be kept away from cats. No matter how beautiful or sweet-smelling, they aren’t worth the risk to your cat’s health. All chocolate is toxic to cats and dogs. The darker and more bitter the chocolate, the more dangerous it is. While cats aren’t typically attracted to sweets, they are curious about the shiny new things that they find, and a foil-wrapped chocolate egg hidden for a hunt may prove too tempting to resist. Never share chocolate or chocolate-flavored treats with your pets. Watch out for this common basket-filler. If ingested, these plastic strands can lead to all types of digestive system problems, including vomiting and blockage. Take the same precautions you would for tree tinsel; keep it out of reach of cats and other pets and clean up any loose strands. Nothing spoils a day with loved ones like an emergency trip to the veterinarian. Try these alternatives to make a safe and happy spring season for cats. Flowers & Plants – Avoid all lilies and ask for pet-friendly bouquets when ordering for your home or as a gift. Consult our list of plants that are toxic for cats if you’re unsure. A few pots of cat grass placed around the home can be a safe distraction for cats who like to nibble. If your cat’s appetite for plant fiber is simply insatiable, consider artificial plants and flowers. Treats – Providing a new flavor or variety of your kitty’s favorite snack is a great way to safely include him or her in spring-time festivities. You can even go the extra mile and make your own gourmet cat snacks. A new toy and extra playtime are also good ways to include cats in festivities. Safe Spaces – The sounds of celebration can be a lot for a cat. When the home is full of new people and smells, provide a calm and quiet space away from the partying where your cat can relax or retreat to should he or she become overwhelmed. Take care with open doors too; consider confining indoor cats to a spare room if you and guests will be entering and exiting the home frequently. As always, be prepared. Have your veterinarian’s contact information easily accessible as well as that of the nearest emergency animal hospital. The ASPCA’s 24-hour pet-poison hotline (888-426-4435) could be a resource in an emergency too. A bill to increase penalties on animal abusers in Virginia has passed out of committee and could be headed for state house and senate floor votes soon. The bill, SB 1604, would make “cruelly and unnecessarily beating, maiming, mutilating, or killing a dog or cat,” a Class 6 felony. The bill was introduced by Virginia State Sen. Bill R. DeSteph, Jr. (R) of Virginia Beach. The penalty for such actions now is only a misdemeanor and as written, current regulations require that an animal die from the abuse or torture in order for the offender to be charged with a felony. The animal must also be a companion cat or dog, leaving other animals, like community cats, unprotected. We’re excited to see this change proposed and support passage of the law. Abuse or torture of animals is an extremely serious offence, and it shouldn’t take an animal victim paying the ultimate price in order for human abusers to be held sufficiently accountable. Take for example Hardy, the cat we helped recover from terrible abuse in early 2018. He’d had his ears, tail, and all four paws mutilated. He was in dire condition when he was found outside and required immediate and costly veterinary intervention to be saved. Under the current regulation, our successful efforts to save Hardy could actually lessen the abuser’s offence in the eyes of the law. Striking animals, tethering them outside in poor weather, neglecting their care, or dumping them when they’re no longer wanted are all forms of animal abuse. Unfortunately, the laws in our country are somewhat of a patchwork and can vary greatly from state-to-state and between jurisdictions. To see the animal cruelty laws on the books in your state, check out the Animal Legal Defense Fund’s database. There you’ll find a summary and specifics of your state’s laws and how it ranks in comparison to others. To learn more about animal cruelty, its forms, and why it happens, visit our site here. Demo trap lined with story about... trapping animals! No matter the season, summer, spring, winter, fall or kitten, we’re out making an impact for cats and working to grow the trap-neuter-return (TNR) community. This past weekend we presented our workshop, Caring for Community Cats, to a wonderful group of folks who were looking for ways to help free-roaming cats. We began by explaining who free-roaming cats are, where they are, and why they live outside. 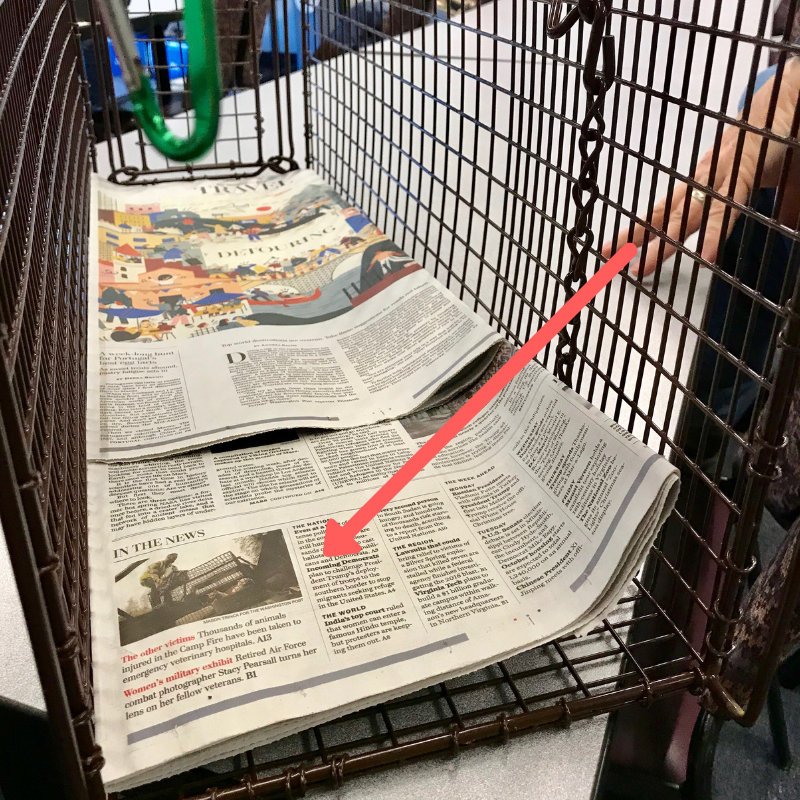 We covered local regulations too, and then went through the step-by-step of TNR, from assessing the situation at the start of a project, to returning cats and ongoing colony management. Our trained staff also demonstrated how to set up and set humane traps and shared practical tips from our own experience. ​These workshops also serve as a way for community members to connect with our programs and with each other. We’re always uplifted by the positivity that arises when caretakers and advocates for cats get together. More cats benefit when we all come together to work cooperatively; when welfare organizations like ACR provide knowledge and resources, when individuals do their part, and when local governments lend support, the greatest impact can be made. Thank you to the Mount Rainier Police Department for hosting and providing the event space, and thank you to all who joined us to learn about TNR and caring for community cats. Don't forget to follow our Facebook page to stay up to date on our current work and to find out about upcoming workshops. ​Are you a community group looking to get involved with TNR or a shelter looking to learn more and start a program? Please get in touch! Send us a message at acr@saveacat.org or call 301-277-5595. We'd love to hear from you and find out how we can work together for cats. Earlier today President Trump signed the Agriculture Improvement Act into law. Better known as the Farm Bill, the law contains crucial new protections for animals. The Dog and Cat Meat Trade Prohibition Act contained within the bill bans the slaughter, trade and import/export of cats and dogs for human consumption. While consuming dogs and cats is rare in the U.S., this provision is important because only six states have laws prohibiting it. Just as critical is the trade aspect. News reports from Egypt recently suggested that the government was allowing the shipment of unowned cats and dogs abroad for consumption, to places like South Korea where the infamous annual dog meat festival takes place, as a way to reduce the population of stray animals in the country. This practice is now prohibited in the U.S. thanks to the bill. The bill also contained a measure to help animals affected by domestic violence. The Protecting Animals with Shelter (PAWS) Act provides new domestic violence protections for animals while allocating grant funds for shelters to add, improve and otherwise help find accommodations for pets in these situations. This is so important because one reason victims sometimes give for remaining in a dangerous situation is the question of what would happen to their beloved pet. Currently only 3% of shelters serving victims of domestic violence accept pets as well. Other good news for animals comes in the form of clarity around dog fighting and cockfighting, which were previously banned in all U.S. states and are now prohibited in all U.S. territories (Guam, American Samoa, the U.S. Virgin Islands and the Northern Mariana Islands) as well. Also good is something NOT in the bill. The Protect Interstate Commerce Act was thankfully rejected and removed. It would have usurped individual state and local laws passed to protect animals, such as humane farming practices and the banning of puppy mills, and made it harder for advocates and local communities to pass laws on behalf of animals. While the Farm Bill contains some great successes for animals, there is still work to be done. The KITTEN Act, which would bar the USDA from using kittens in painful experiments, has bipartisan support in the House and a version was just introduced in the Senate. You can learn more about the decades of experiments that brought about the KITTEN Act and show your support for it by signing our petition to USDA Secretary Sonny Perdue. Declawing is a cruel and inhumane procedure that is harmful to cats, and thankfully its use has now been barred in yet another jurisdiction. This week the Newfoundland and Labrador College of Veterinarians in Canada passed a resolution barring its members from performing the procedure beginning in January 2019. The declaw procedure involves more than just removing a cat’s nail. In fact, the whole last bone of the toe is removed, altering the way the cat’s foot strikes the ground and changing their gait, which can lead to pain in the feet and back. Declawing can also cause nerve pain and behavioral issues. For example, when a newly declawed cat experiences pain when pawing litter in their box, they can come to associate the litter box with pain in general and cease using it properly. Around the world, declawing is banned or restricted in at least 22 countries, including much of Europe, the U.K., and Australia. Newfoundland and Labrador will be the fourth province in Canada with regulations against declawing, joining Nova Scotia, British Columbia, and Prince Edward Island. In the U.S. a number of cities in California have enacted declawing bans and were joined by Denver, CO in November of 2017. There are many ways to deter and redirect inappropriate scratching, but remember, scratching is a natural way for cats to leave their scent, stretch muscles, and release energy. Visit our Cats & Claws page for more on the declaw procedure and tips for how to encourage appropriate scratching. ​Have you worked through scratching issues with your cat? Share your story and tips in the comments! ​The annual Clear the Shelters event is this Saturday and for those who’ve decided to adopt, congratulations! 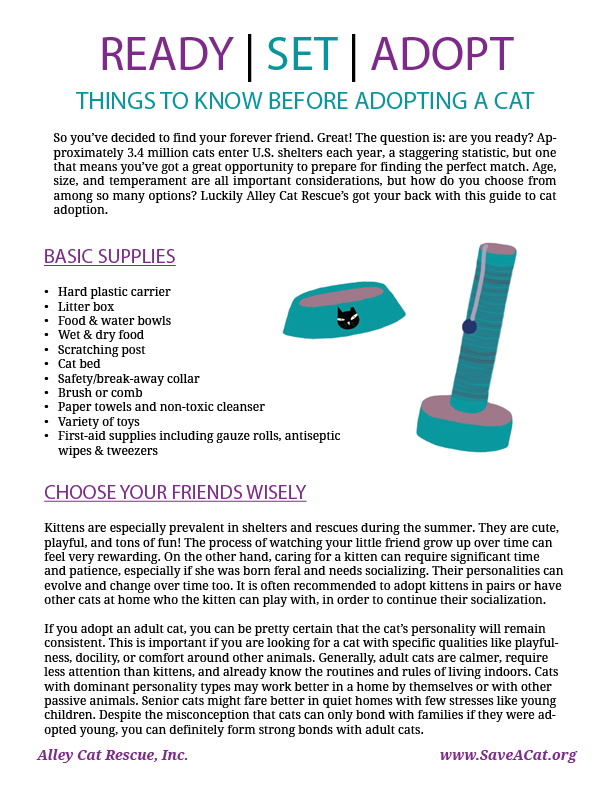 In order to make the adoption experience as rewarding and stress-free as possible, we put together some tips on how to prepare for welcoming your new family member into the home, and how to go about making your decision at the shelter this weekend. Check out the graphic below and click here for a printable version. Print and use it as a shopping list for the pet supply store and bring it to the shelter as a reference for when you’re choosing your new companion. If you’re adding to your fur family, check out our information here on introducing and integrating new cats into the home. This summer, bobcat fever is taking a toll on domestic cats in Northwest Arkansas. Though once thought to be carried only by the American dog tick, this blood parasite can also spread through the lone star tick, which is common to the area. Dr. Jack Herring, owner of Wedington Animal Hospital, told station KNWA that bobcat fever is becoming more prevalent and that on some days, there have been four or five cats hospitalized at once for it. The death rate for bobcat fever is unfortunately very high. It infects the blood cells of the cat. 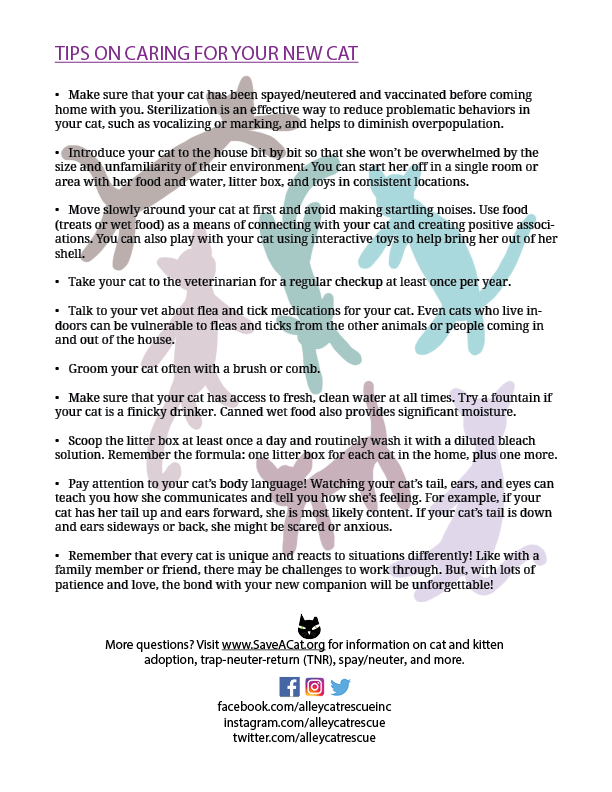 Even in the event that your cat recovers from bobcat fever, he’ll still be a carrier of it, which can lead to even more complications and threaten other domestic cats in the neighborhood. Cats who live outside city boundaries, in rural environments where ticks are more prevalent, are at a higher risk of getting bobcat fever. Despite this, city kitties are not completely protected from the disease. If your cat has contracted bobcat fever, it can be anywhere from 5 to 20 days before symptoms appear. Initial signs may include lethargy, decreased appetite, and high body temperature. As the disease progresses, your cat may experience breathing problems, dehydration, jaundice, and a noticeable drop in body temperature. 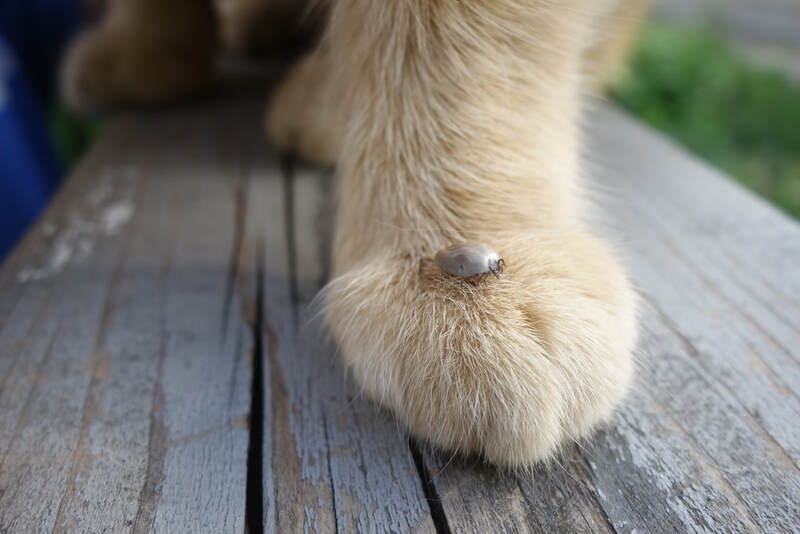 Because no vaccine is currently available, keeping your cat safe from tick bites is of the utmost importance. While the lone star tick is mainly found in eastern Kansas and the Southeastern states, bobcat fever isn’t the only tick-borne disease that can affect your cat. 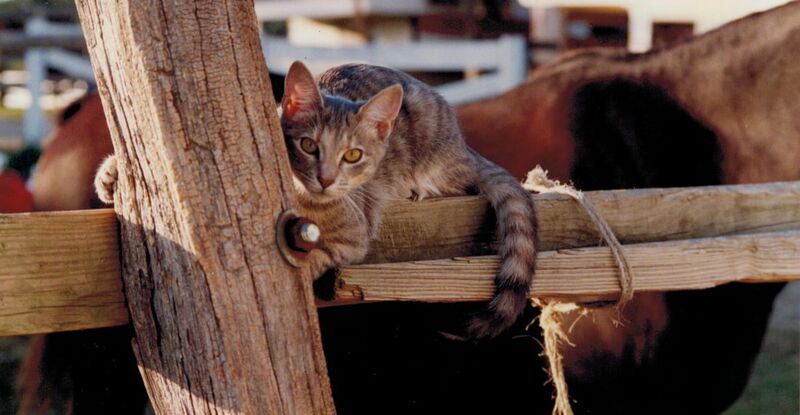 Rabbit fever (tularemia), Feline Infectious Anemia, Babesiosis, Ehrlichiosis, and Lyme disease all affect domestic cats and have the potential to be fatal. Though uncommon in cats, Lyme disease is one of the most common tick-transmitted diseases in the world. Its dominant symptoms in cats are lack of appetite, lethargy, and lameness due to an inflammation of the joints. Give your cat a flea and tick preventative on a regular, ongoing basis. Keep your lawn mowed short, since ticks tend to prefer taller grasses. Maintain and de-clutter your yard so that there are fewer hiding places for ticks. Do daily tick checks on your cat, especially if they wander outside. Groom them regularly. Be thorough – even look between their toes! If your cat lives with a dog, make sure you use tick repellant on the dog too, who could otherwise bring ticks into the house that affect the cat. Don’t forget to check yourself for ticks after outdoor activities like hiking. Talk to your veterinarian about types of tick control medications for your cat. There are oral and topical options that can be considered. For feral cats, if you can get close enough, you may be able to apply a topical tick preventative on the cat’s coat. Another option is to sprinkle flea powder inside cat shelters and on their outdoor bedding. Only use tick preventatives on the species they’re formulated for, i.e. cat meds for cats, dog meds for dogs, human preventatives for humans. ​​When film director Ceyda Torun was a child, the cats of Istanbul traversed with her through the streets. They were her companions, neither bound to her nor separate. They guided seven-year-old Torun around the city and her own backyard, teaching her about courage, coexistence, and boundaries. Torun grew up and moved to Los Angeles, but she never forgot Istanbul’s self-proclaimed cultural symbol. With cinematographer Charlie Wuppermann, she directed the 2016 feature-length documentary film Kedi – Turkish for “cat.” IndieWire described the film as “the Citizen Kane of cat documentaries.” Time magazine penned it as one of the top ten movies of 2017. The film even boasts a whopping 98% on Rotten Tomatoes – so what about Kedi has critics and viewers leaning into the screen? Cats have lived in Istanbul for thousands of years. In an interview with The Guardian, Torun notes the ubiquity of Istanbul’s feline population: “There’s nobody here that doesn’t have a memory of cats: no grandmother, no generation has been here without cats, so they’re ingrained in our collective memory.” Among an ever-shifting political and social climate, these creatures have remained a constant. “The cat embodies the indescribable chaos, the culture, and the uniqueness that is the essence of Istanbul,” says a voice at the start of the film. But among locals, the cat is also anthropomorphic. 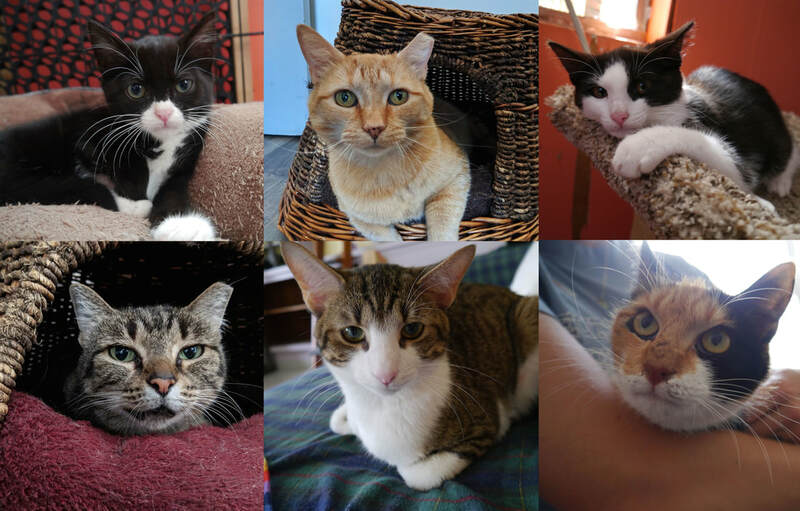 The website for Kedi lends profiles for each cat featured on the film. Sari, for example, is the hustler and mother who “doesn’t give a sh*t.” Psikopat, the jealous housewife. Gamsiz, the happy-go-lucky neighborhood man. During the production of Kedi, street cats strode the frames with dignity. “If we approached the cat and she didn’t want to be filmed, we left,” explains Torun to The Guardian. “If she stuck around that meant she was giving us permission to shoot.” The authority given to cats is willing and necessary; in humanizing these creatures, people sustain their own humanity. Studies have shown that interacting with animals can increase people’s level of the hormone oxytocin, which boosts cell growth and helps us feel happy and trusting. Because of this, it’s no surprise that petting the cats also seems to give many residents of Istanbul a sense of security. Language becomes simplified to gesture, and touch. The small, honest, and fruitful encounters with these cats have calming and therapeutic effects. One man interviewed during the film had a nervous breakdown in 2002, only to be “cured” by his relationships with feline friends. The symbiosis of cats and people is a lesson on empathy, and Kedi is a portrait of kindness. After making the film, both Torun and Wuppermann questioned whether they could justify making a documentary about Istanbul’s cats, as opposed to the city’s Syrian refugees or the country’s political upheavals. Aren’t those issues more important? What Torun came to realize was that her “love letter to the city and the cats” could be a form of resistance – a way of immortalizing the beauty of Istanbul through all the turmoil. ​​On my first day of interning at Alley Cat Rescue, my co-workers showed me the kitten room. 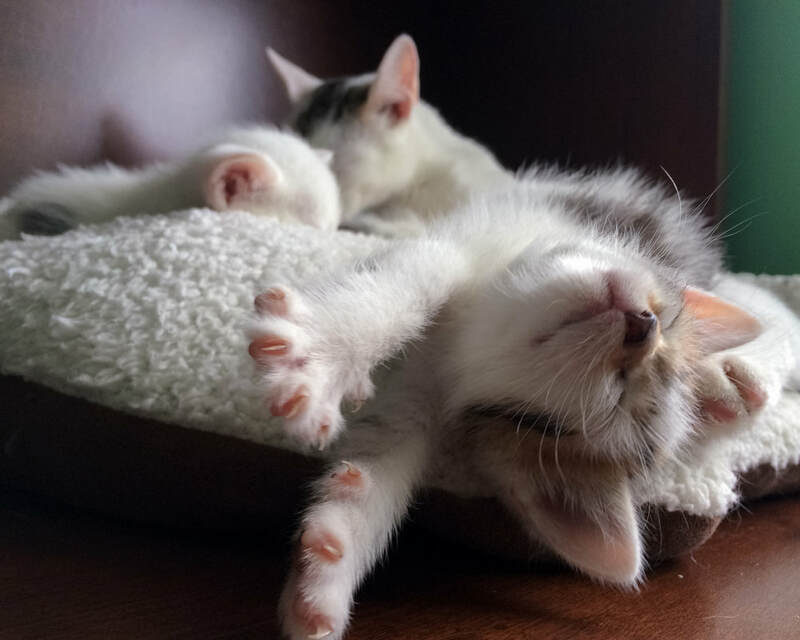 A small office filled with free-roaming kittens, some curled beside each other in beds, others playing, wrestling, sliding across desks. I’ll be here a lot, I told them. My favorite cats were the ones that came to me: Pellusa, the office cat, who nibbled on my hair and sat in my lap as I typed up fact sheets, and Rigatoni, the kitten who cried when I wasn’t holding him, to name a few. These cats validated my love for animals without asking much of me. Then I dropped by the isolation room, where our new cats are first brought. There I met Basil and Petunia, two feral kittens who had not yet been socialized. Picking them up left me with scratches on my arms. They hissed when I came close. They were wide-eyed, sharp-clawed, shivering babies. I visited often. A co-worker showed me how to scruff them, wrap them in a towel, and hold them close. I brought Basil a toy and slowly she started opening up to me. Eventually they were moved to the kitten room, where a family fell in love with playful, sweet Basil and took her home. Getting closer to shy cats is a process. Some feline friends are slow to acclimate to people and environments due to traumatic pasts, insufficient socialization, or genetic predisposition. Yet cats like Peaches, Lincoln, and Zetta at ACR have stolen my heart – not because they owe me affection, but because our connection had to develop over time. Interested in befriending a shy cat? Here are some tips to make sure your cat is as comfortable as possible! Introduce your cat to your home bit by bit so that they won’t be overwhelmed by the size and unfamiliarity of their new environment. You can start them off in a single room or area with their food bowl, litter box, and toys in consistent locations. Shy cats do best in quieter homes! Avoid making loud, abrupt noises and turn on the television or radio at medium or low volumes to expose the cat to everyday household noise. Talk to your cat in a calming voice to help them get used to your presence. If your cat wants to hide, don’t pull them from their hiding place or force them to interact right away. Pay attention to your cat’s body language! Petfinder describes how watching a cat’s tail, ears, and eyes can tell you more about how they’re feeling. Move slowly around your cat, even sitting on the floor or lowering yourself to their level rather than towering over them. Don’t stare at your cat when making eye contact. Try blinking, lowering your eyes slowly, or closing your eyes when eye contact is made to reduce aggressive or antagonistic associations. Use food (treats or wet food) as a means of connecting with your cat and creating positive associations. You can play with your cat using interactive toys to help bring them out of their shell. Slowly introduce the cat to new people and use treats so that they form positive connections with these people. Some pet guardians have claimed that calming pheromones like Feliway are helpful for cats with shyer or more fearful personalities. You can spray this around the room, use it in a diffuser, or put a calming collar on your cat. Felines seemingly enjoy the scent of lavender or honeysuckle essential oils. Even if this doesn’t work, at least your house will smell good! Remember that the amount of time it takes for a cat to get settled in depends on the cat’s personality. It could take anywhere from a week to months, but by the end you will have formed an unforgettable friendship!